An incomplete and growing roundup of Christmas opening hours around the area, to help you make your festive plans. Submissions always welcome: email peter@​camberwellonline.​co.​uk, or flag/DM me on Instagram or Twitter (I’m @camberwellblog on both) or Facebook. 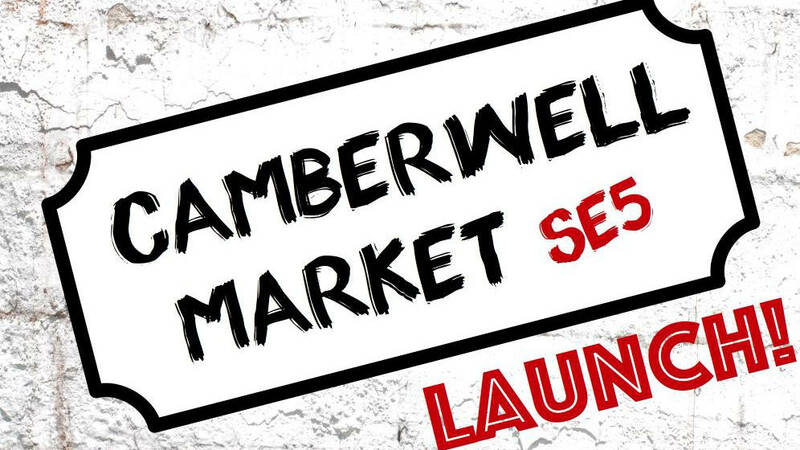 From this Sunday, 4th September, Camberwell will have a new weekly market. It will happen from 10am to 4pm in the new market area on the Green, and focus on street food, arts and crafts (presumably to not compete with the Saturday farmer’s market). Can’t find full details of the opening week’s line‐up, but confirmed food stalls are: Rainbo (Asian salads and gyoza dumplings); Return of the Mac (macaroni cheese); Kaki Lima (Indonesian street food); and Pomodoro e Basilico (vegan Italian). Some of these were at Camberwell Fair last weekend, so if you enjoyed the food there, there’s no reason you shouldn’t here. For the launch of the market there’ll be a specially‐made beer called Saint Giles — no word on who it was made by, or how many will be available, but I’m keen to try it out. What we’re trying to do is establish a new haven for foodies and art lovers south of the river, showcasing the best of what is local. And while the word ‘foodies’ might make me grind my teeth, it will be nice to have a new option in the area. I only wish there was some way we could combine the two weekend markets to have something a little bigger with perhaps an increased chance of success for both. 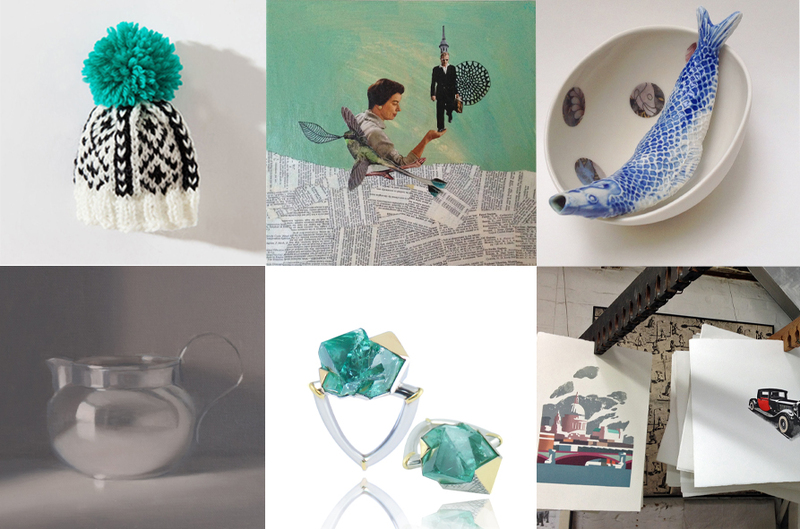 This weekend: Get ready for Camberwell Arts Winter Open Studios. Working on Camberwell Arts is like painting the Severn Bridge: The work is never over! No sooner has the summer festival been put to bed, then planning for Winter Open Studios took over. 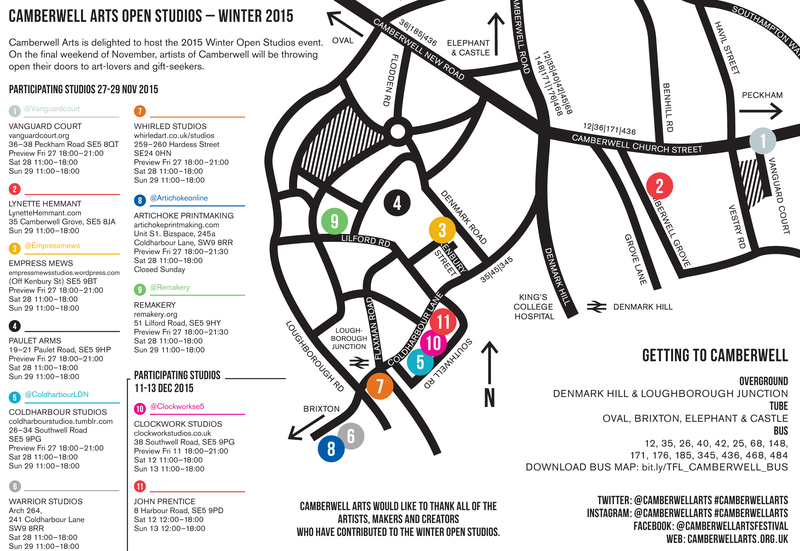 Open Studios is nothing new, however this is the third collaborative event coordinated by Camberwell Arts on behalf of studios of Camberwell, and this winter it is bigger than ever, with over 120 artists, makers and creators across 11 locations simultaneously throwing open their doors to art‐lovers and gift‐seekers. With hand crafted jewellery, textiles, fashion, ceramics, homewares, accessories, as well as a wealth of visual art from the internationally renowned to the up and coming creatives of Camberwell, there has never been a better reason to visit and shop local this Christmas for something truly unique and support the creative arts. Cheers, and see you there! 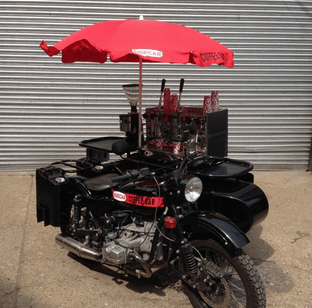 *Please note there will be a mini pop up at Clockwork Studios, however their main event is the 11–13 Dec. 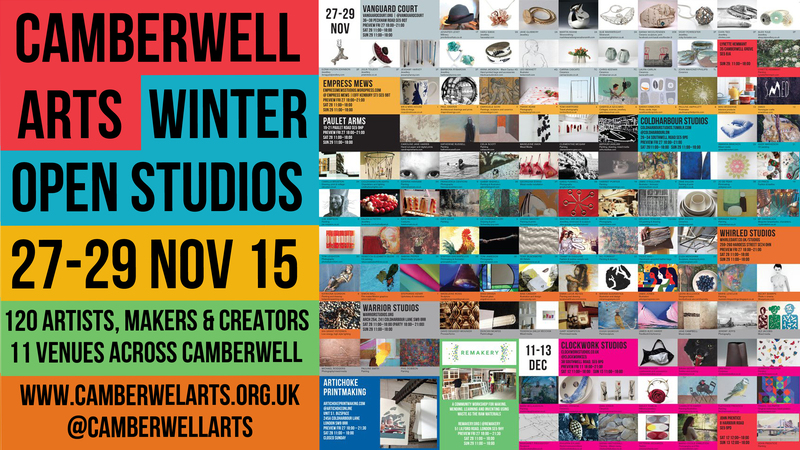 Author Camberwell ArtsPosted on 26th November 2015 26th November 2015 Categories Art, Events, Shopping5 Comments on This weekend: Get ready for Camberwell Arts Winter Open Studios.